One thing I have always had a crippling passion for, is the importance of a healthy, natural, plant-based lifestyle. Now certainly, the first thing that enters our extraordinarily hasty minds, when we hear “plant-based”, is almost always a vegan/vegetarian diet right? My definition of “plant-based” lifestyle is in fact, a vegan diet- consisting of vegetables, fruits, grains, nuts, seeds, legumes, etc… the list goes on! Naturally, in my totally unbiased opinion, is that this is an idealistic diet for an all-around healthy life. But I think in the midst of eating right, and eating all the vegetables and the fruits, we forget about some other important nutrients our body is needing- herbs and minerals. Of course, a majority of our most basic and vital minerals and vitamins, are in those exact fruits and vegetables you are eating. And yes, while there are some herbs in there that we are ingesting without even knowing- again, those are among the most basic of herbs, such as cilantro, basil, oregano, etc.- there are some of those mischievous little herbs we have forgotten about. For example, Echinacea (what the heck is that right? ), Golden Seal, Perilla (yeah, bet you haven’t heard of that one! ), or even the popular Ginseng. There are so many amazing herbs and spices out there. 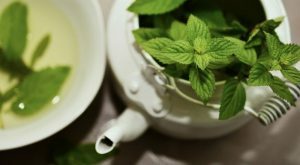 We are familiar with the most essential among them, but most of us haven’t the first clue when it comes to natural, healing herbs. In fact, in this day in age, herbal medicine is almost taboo. Not in the forbidden sense, but in the forgotten sense. We rely so heavily on the most common ways of healing- taking an IBUProfen for that headache, or a Claritin for seasonal allergies. I have also found myself guilty of this recently, as I have forgotten the importance of natural healing too! It took a wise, soft spoken older woman, to pull me out of my reverie. She told me about how she gave birth, and raised, a whopping total of 6 kids, in a completely drug free household. Meaning they did not, and still do not, keep IBUProfen or Claritin, or even Pepto Bismol in their house. She has raised all 6 of her kids, and herself theoretically, without touching a single over the counter medicine. Makes you think a little bit right? So let me tell you MY story, and how medicinal herbs have completely re-shaped my life. I promise you won’t regret it! And I hope by the time you are done reading this, you will have a renewed passion for your natural healthy lifestyle! Now, to touch base on my earlier topic- the wise older woman who introduced me to the importance of herbal healing. Funny story- I was actually with my hair lady, with whom I had just spent about 7 1/2 hours on a session that day ( I have an overabundance of hair), and she told me about her mother. Yes, she is one of the 6 children of this substantially strong-willed old woman. At this time in my life, I had been suffering with severe, piercing pains in my body. It was always in my upper body- so naturally, I assumed the pains were my stomach or something in that general area? I was dealing with these sharp pains, nearly every single day, for over 3 years. I had seen my primary doctor, and even a Gastroenterologist (a doctor who specializes in the digestive system), and they just couldn’t seem to figure out what was wrong with me. I noticed the trend, between all these different providers- they did not want to investigate my issues. They simply wanted to prescribe me some kind of pill, rather than running tests to actually treat my problem – I wanted a solution. They decided on an ultrasound of my Gall Bladder…. They found nothing. Personally, I believe this was not the test I needed. But my bill came. Almost a whole grand, for single Ultrasound; I couldn’t afford it. So I stopped seeing the doctors, stopped demanding tests, because I couldn’t afford my healthcare bills. This brings me back to my hair lady’s awesome holistic mom. Now, she is not a healthcare provider, or a doctor, but simply just a woman who has a intense passion for herbal medicine. I decided to pay her a visit. She listened to me, spoke with me, got to know me. She ran this very strange strength test on me, that was supposed to scan my body for irregularities. So naturally, I instantly regretted coming to this woman, thinking “This just isn’t going to work”. She found that my body responded to a concern for my liver and my pancreas. Given that she is not a doctor, she obviously cannot go into my body with a mini-doctor-camera-device and see right into my liver and pancreas, so she just did some research. She came to the conclusion that my body must be not processing fats, or proteins (or something like that- pardon my terrible memory), and that basically my body was not getting what it needed. I was slowly dying from malnutrition, because something my body was not processing them correctly. How fantastic. Still wondering if she was even on target with her (our, I would say) research, I bought a few of the medicinal herbs from her that she suggested, and was on my way. Well, I did take those herbs as she suggested. Though my healing was a slow process, after the first couple of weeks, I realized I hadn’t felt those familiar sharp pains for a while. It has been a few months since then, and I’ve almost completely stopped feeling pain altogether. Though it has not been a very long period of time, having relief for even these few months, after three lengthy years of pain, is an incredible feeling. The Chinese believe that emotions are connected to the internal organs, and that each internal organ is responsible for a specific emotion, and vice versa. They believe that the processes of the human body are directly connected and correlated, with the environment as well. Traditional Chinese Medicine is a very holistic practice. True, it has since been refined and advanced over the past four thousand years, but it is still an important component of healthcare in China today. Of course, there are some things herbal medicine cannot heal. I am not saying that these herbs necessarily HAVE to be used only for medicinal purposes. 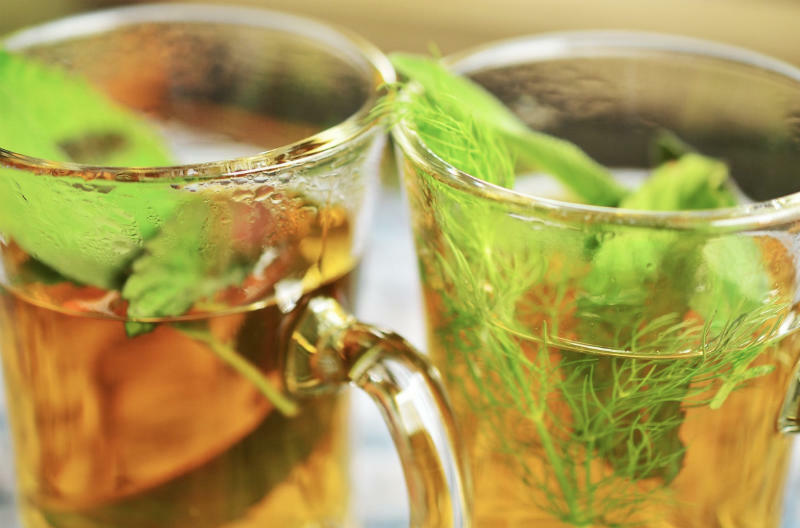 I truly believe that these less common herbs should be integrated deeper into our everyday diets! There are so many powerful herbs out there, that have many remarkable purposes. For example- Echinacea, which can provide a beautiful synergistic effect in your body. It helps all your body’s systems work together more flawlessly and harmoniously. Echinacea is considered one of the best-known and ultimately safest immune strengtheners available! Known to fight immune and respiratory problems, such as bronchitis, colds, flus, infection, strep throat. This awesome herb is also a lymph and blood cleanser, known to be effective against Staph infections, blood poisoning, tonsillitis, fungal infections, inflammatory skin, gum disease, inflammation of the larynx, swollen glands, and SO MUCH MORE. Another one of my favorites is Perilla, which is very common in the traditional oriental medicines known to help with problems pertaining to mood, emotion, or mental states. Studies show that the rosmarinic acid from the Perilla leaves have an anti-depressant like characteristic. This is one that I noticed personally uplifted me, helping with my anxiety and depression in the past. And hey, this also helps with circulation and has gas relieving properties in case you were curious! A few years ago, I made a mixture of a few different ground herbs to help me quit smoking. That, combined with a strong-will, helped me stop smoking forever. In addition, I’ve used mixtures of herbs to relieve my seasonal or pet allergies, increase my happiness, and also to heal my liver/pancreas pain with the help of the old wise woman. I’ve even made my own energy supplements from herbs! There are so many amazing things you can do with what this beautiful planet offers. I think we often forget what matters in life, or stop, at some point, really valuing and admiring what this Earth has for us. Your plant based diet should include more than your avocados and quinoa (no matter how delicious), and start including some ginseng or ginger! Do some of your own research at home. Are you depressed, stressed, anxious, plagued with migraines, or experiencing pain? All you have to do is use this spectacular modern day technology we have, research what herbs you can use and combine them to solve your problem. You can buy your ground herbs and some vegan capsules to stuff the mixture in, at your local health food store. You could even buy fresh edible ones to cook with, or make into teas. If all else fails, you can undoubtedly find those herbs online to order as well. I do both! There are even companies out there who offer their own mixtures of herbs and spices that you could try. I promise- it works. But it is a lifestyle choice, and a true commitment, to switch only to herbal healing. Remember also, to have an open mind, an open heart, and patience. Nature is not perfect, and natural healing takes more time. Positivity, patience, and belief, all work hand in hand with natural healing.